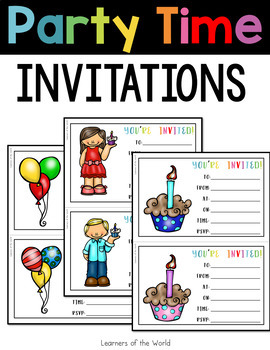 These party invitations are in color or black and white. 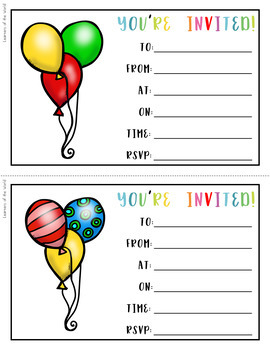 There are 2 invitations per page. 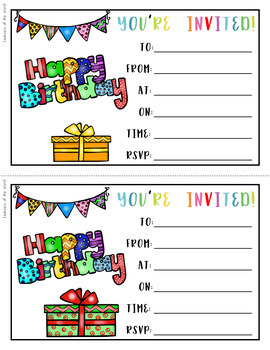 The cards are 5”x7”. Feel free to print them on stock paper. There are 18 pages in color and 11 pages in black and white. 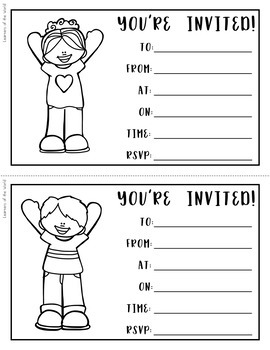 - I recommend printing them onto card stock.